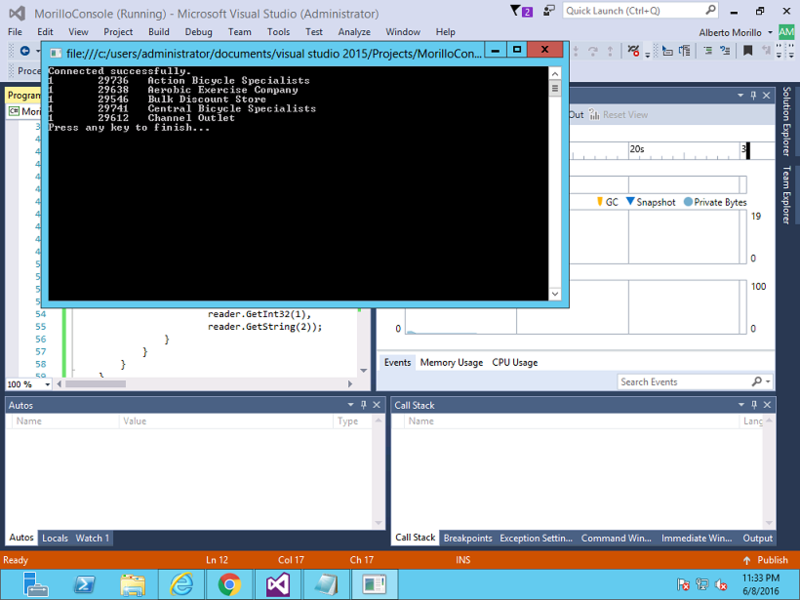 On this opportunity we are demonstrating how to query an AdventureWorks sample database installed on a SQL Azure Database server using a Visual C# console application. 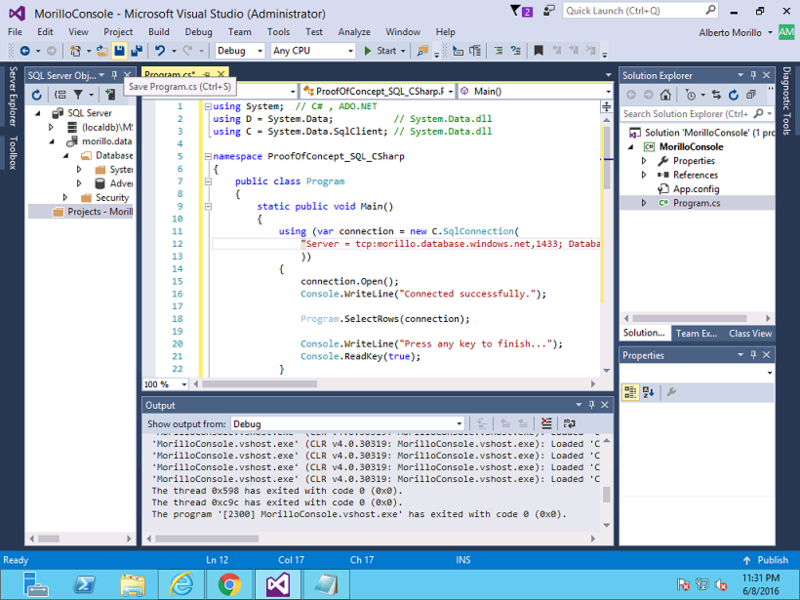 It requires creating a new Visual C# project on Visual Studio as explained here. Let's start by connecting to AdventureWorks on SQL Azure. The full connection string is shown here. Below is the first part of our query to the AdventureWorks database. The final part of our query is shown below. 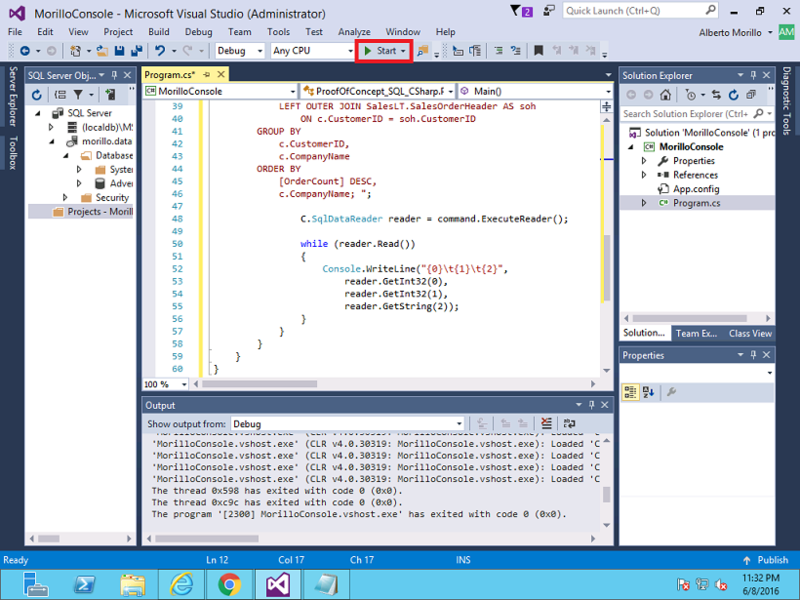 Let's test our query by making a click on the Start button. Below you will find the result of our query.